Pioneer DJ is launching its most compact, portable and flexible digital player yet: the slimline XDJ-700. This rekordbox™-ready player comes equipped with a touch screen, Pro DJ Link and advanced performance features inherited from its big brother, the XDJ-1000. The XDJ-700 offers DJs and venues unparalleled set-up possibilities. Its compact size and removable stand makes it perfect for even the smallest booth or home set-up. It is also the first player at this price to feature Pro DJ Link – so DJs can share one source with up to four players or laptops. Tracks can be loaded via USB or Wi-Fi to give DJs even more choice. The XDJ-700 comes packed with features from the XDJ-1000, including Hot Cues, Auto Loops, Slip Mode and Beat Sync. The large, full-color LCD screen gives DJs intuitive access to all the player’s features and faster browsing through a QWERTY keyboard word search. DJs can prepare their sets in rekordbox (Mac/PC) or the rekordbox app (iOS/Android) and the screen will display crucial information including wave display, Beat Countdown, Phase Meter and Key Analysis Indicator. The XDJ-700 will be available in December 2015 with a retail price of $699.00. Watch the XDJ-700 introduction video. Learn more about the XDJ-700. 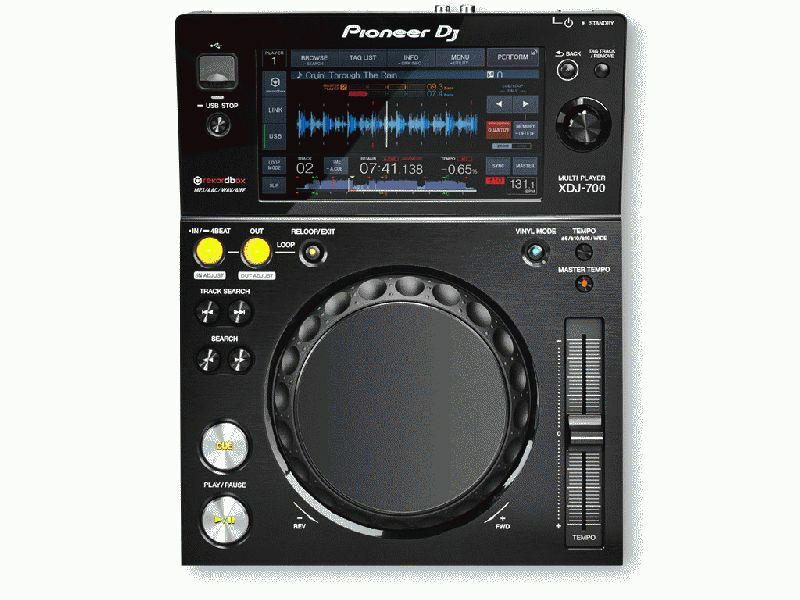 A 7-inch, full-color touch screen gives DJs intuitive control of the player’s features, while the three windows – browse, play and perform – stop the screen from getting overcrowded. Browsing is effortless; DJs can choose to scroll using the rotary dial or call up the QWERTY keyboard to do a keyword search. The XDJ-700 boasts all the same features of the XDJ-1000, many of which are inherited from the flagship CDJ-2000NXS. · Auto Loops and Hot Cues: Instantly triggers loops and cues DJs have set in rekordbox. · Quantize: Snaps loops and cues to the beat grid. · Beat Sync: Matches the BPM of connected players to the beat of the master deck. · Slip Mode: Silently continues track playback during a loop, reverse or scratch and brings the music back at the right point when the DJ exits the performance. · Wave display with Wave Zoom: Zoom x5 for precision loops and cues. · Beat Countdown: Mark key points on a track and the player will count down from up to 64 bars away. · Phase Meter: Shows the position of the beat in the bar so DJs can compare the phase of each player with the master deck at a glance. · Key Analysis Indicator: A traffic light system shows which rekordbox tracks are in a compatible musical key with the master deck. · Active Loop: DJs can set an Active Loop at the end of tracks to ensure they’re never caught unprepared again. Pro DJ Link means that DJs can connect up to four players or laptops via a LAN cable and share one source between them. rekordbox information can be shared across all four pieces of hardware, including the Beat Count, Phase Meter, Beat Sync and Key Analysis. In addition to USB keys, DJs can load rekordbox-ready music from PCs, laptops and smartphones using a USB or Wi-Fi connection. They simply connect a device running rekordbox (PC/Mac) or the rekordbox app (iOS/Android) to the XDJ-700 and then browse and load tracks from the device’s screen. Devices connected via USB will even be charged during performance. 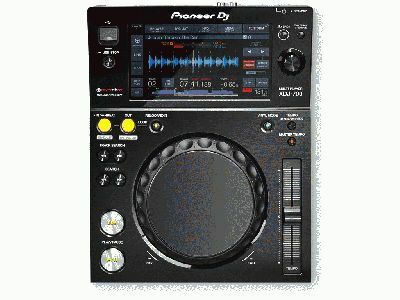 Pioneer DJ’s slimmest player yet, the XDJ-700 is designed with the small booth or home set-up in mind. The unit measures just 9.37” x 12.13” x 4.17” (W x D x H). Plus, the stand can easily be removed, reducing the height to 3.11” – helping it to fit into even smaller spaces. iPhone/iPod touch, Android phone, etc. Serato Announces Pulselocker Integration with Serato DJ.